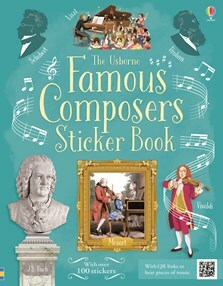 There’s nothing quite as satisfying as matching sticker to space, even if it’s Beethoven’s ear trumpet or the ghastly machine by which Schumann wrecked his finger. The opportunities for getting children interested in classical music seem to be shrinking by the year... This admirable new publication would be a very good first step.